Early Morning Run: Foam Rollers: The Latest Fitness Obsession? Foam Rollers: The Latest Fitness Obsession? Of course, as runners we know that foam rollers are as much of a craze as GPS watches and are not new on the scene. For many of us, a foam roller is a regular - and essential - part of our life, loosening tight muscles as we grimace in pain. Our Grid roller is a part of our living room decor as much as our coffee table. 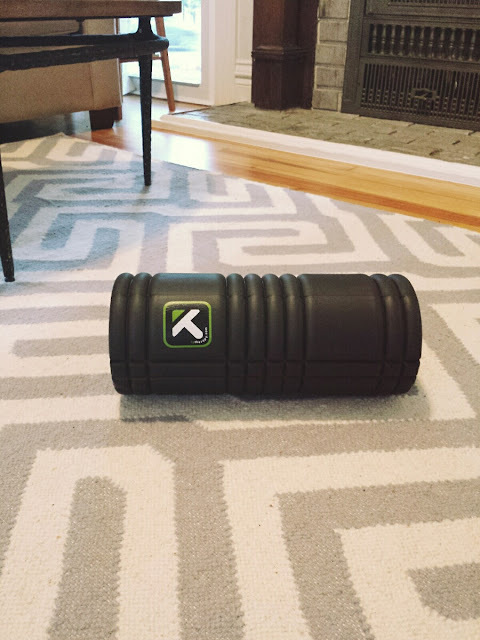 Foam rolling is great for runners and other athletes, even non-athletes, because when used correctly they help improve circulation, break up knots in muscles, loosen fascia, and release lactic acid after a tough workout. My Physical Therapist has me using my roller each night to help work out the insane muscle tightness I have going on in my entire right leg, including the popliteus, calf, hamstring, and glute. It hurts, but feels so good. My favorite part of this article? There's a woman in Santa Monica who leads clients through "six months of biweekly $495 sessions" that "can trim their waists." Hmmm... First: $495 to show someone how to roll out? Second: while I would absolutely love it to be true, I am quite skeptical that rolling can trim my waistline. If you want to save yourself $495, check out these quick and easy videos from Runner's World. I can't help but find it amusing that something we, as runners, have been doing for years is now the hot fitness obsession for others. But really, I am happy for them that they've learned of the awesomeness that comes from such a simple thing. How often do you use a foam roller? * What are your other favorite pre- or post-workout recovery methods?